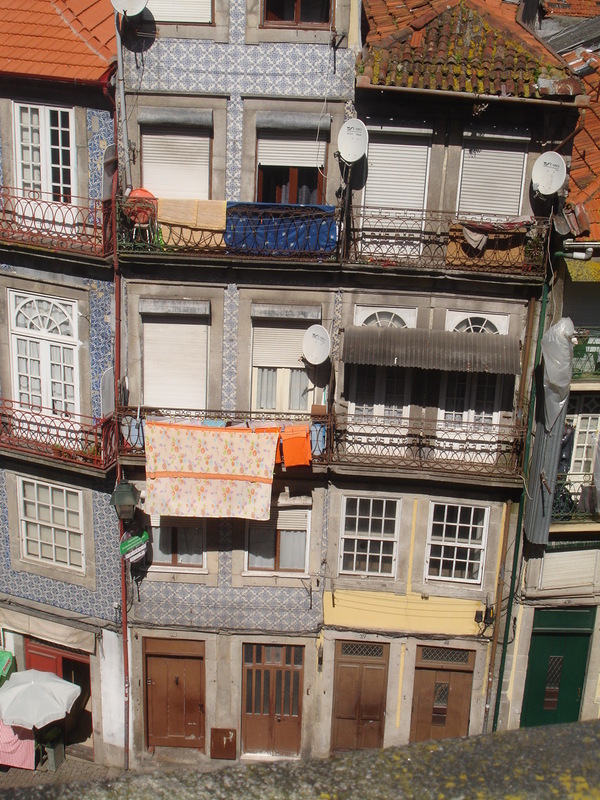 Like Lisbon, Porto is a river city on steep hills; unlike Lisbon, Porto is not covered with glistening tiles. 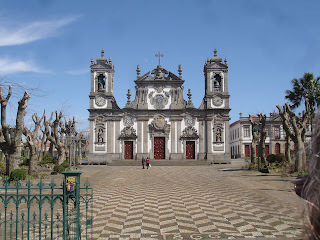 Although I did not fall in love with Porto the way I did with Lisbon, Rick and I enjoyed it very much. Porto has a rich architectural heritage but unfortunately much of it is in disrepair. The signs of economic distress were much more visible in Porto than in Madrid. 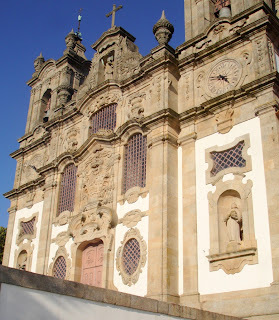 But Porto retains its charm nonetheless—especially on a sunny day. 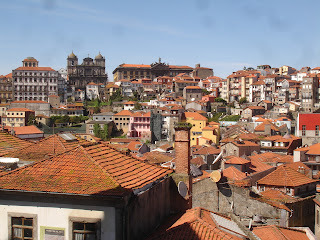 We arrived in Porto on a gray, gloomy day and the shabbiness of some parts of the town was a little depressing. A few days later, on a dazzling sunny day, sections which had looked down-at-heels now looked delightfully picturesque. 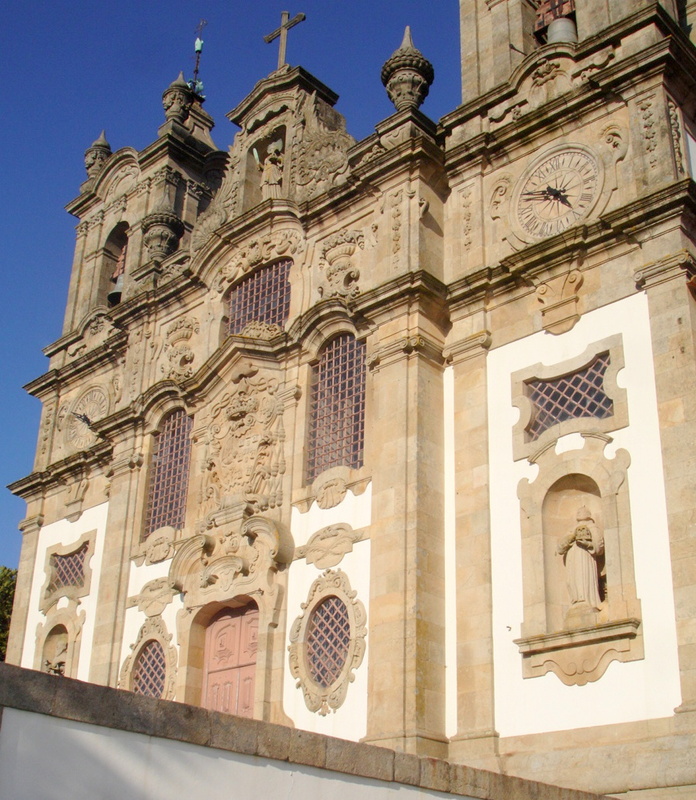 Porto is a city of towers and a gray granite tower gains against a gray sky just can’t compare to that same gray tower against a dazzling blue sky. 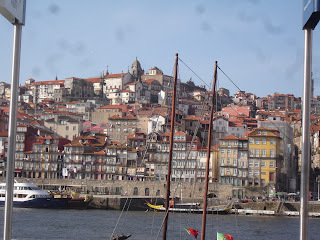 Another highlight was Porto’s Atlantic coast. Parts of Porto and the neighboring town of Matosinhos opened onto the Atlantic. We jumped off our tour bus, headed straight for the beach and spent a few hours sipping red wine and staring at the ocean--just as we had in Barcelona last year. Of course since this was March, we were bundled up with scarves and sweaters, but I actually prefer this to a broiling summer beach. 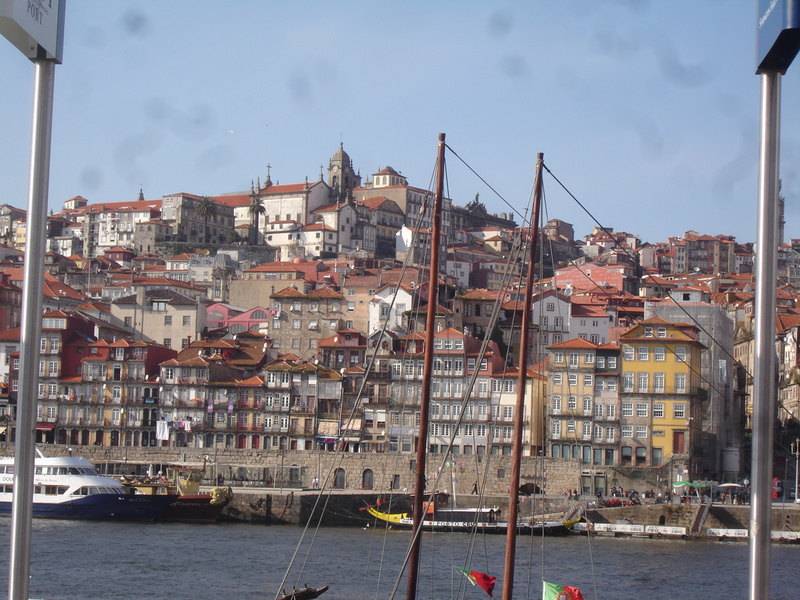 The high point of our visit to Porto was our trip to the Port wine houses in Gaia, a small neighboring town across the Douro River, devoted to the making of port wine. For port-lovers like us, this was equivalent to a pilgrimage to Mecca. It was fascinating to learn how our beloved wine is made and yes they really do dance on the grapes. We usually look for small hotels, but we found a really good deal at the Hotel Intercontinental and decided to try it. For what we paid, it was a fantastic deal with all sorts of amenities and amazing breakfasts. It’s a relatively new hotel in an old palace and trying to build its reputation, so I don’t know how long the good deals will last. The staff were extraordinarily helpful --all in all, a great experience. The hotel staff recommended a seriously good restaurant Paparico – wonderful food , charming setting , great service and surprisingly affordable.